Monitor, analyze, and improve data integrity with SAP Information Steward. Work for SAP Information Steward? Learning about SAP Information Steward? 2. Very useful before implementing Data quality and data governance strategies. 4. Business user friendly, any non technical person can also use it for basic process. 1. It doesnot allow any transformation in its rule, though we have a work arround like creating views or using SAP BODS but thats an add on steps. 2. I cannot re-use existing rules in another project, I have to rename them to use it again. 3. Cost estimation should have some help regarding market trends most clients have no clue and its almost in my experience is never used. This is mainly a profiling tool dont expect too much from it, once you have insight on the pain points I would recomend to use SAP BODS to implement improvements. You can always re run SAP IS task to check current status of data quality. Mostly during data migration project to profile for data quality before merger. Recently I have also used it for making Data Governance strategies. The implementation of rules (advance editor button). Simple to validate data and set up data quality controls. It's nice that metadata can be extracted from multiple systems. Scorecards make an easy way to view your data and the quality of your data. sometimes errors don't explicitly explain well. If data administrator approves a rule, there is no going back to edit it for corrections or updates. SAP Information Steward is a fairly new software so help from SAP sometimes is lacking and some of their IT guys don't know how to solve/ fix errors. It takes time to get the hang and get use to this software, but once you do it is pretty simple. Don't count on many SAP IT people to know how to help you with your errors; they are useless in the SAP Information Systems department. 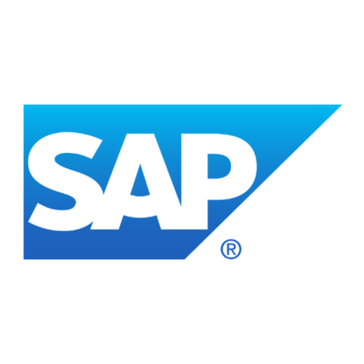 SAP is a reliable company that offers the benefits of a large scale company. Their internal controls are great so you are comfortable with the results and products you receive. The disadvantage of choosing a large scale provider is it is more difficult to customize insights and modules. The real time data interaction is helpful in monitoring and analyzing the integrity of data. DemandTools is a data quality toolset for Salesforce CRM. De-deduplication, normalization, standardization, comparison, import, export, mass delete, and more. Melissa Clean Suite for CRM is an easy-to-use data cleansing and enrichment plugin for Salesforce and Excel that helps improve the quality of your "People Data". Use it to verify and update all your customer addresses, emails, phone numbers, and add detailed information like demographics, geographics, firmographics and property info. Clean & Match is WinPure’s data cleansing and matching suite, specially designed to increase the accuracy of business or consumer data. This software suite is ideal for cleaning, correcting and deduplicating mailing lists, databases, spreadsheets and CRMs. Conga Grid is a salesforce data management solution. Dedupe your database. In the Cloud. No Software. With Cloudingo, you can connect, scan and dedupe your entire salesforce.com database in no time. * We monitor all SAP Information Steward reviews to prevent fraudulent reviews and keep review quality high. We do not post reviews by company employees or direct competitors. Validated reviews require the user to submit a screenshot of the product containing their user ID, in order to verify a user is an actual user of the product. Hi there! Are you looking to implement a solution like SAP Information Steward?